One of the most serious issues discovered when initially reviewing many client sites is fragmentation of the site structure. That fragmenting can happen at larger companies that give different departments authority for a new site section or functionality. When decisions are made by cross-functional teams, each team leader may see their responsibilities or functions as separate and unique entities within a web site. They may not know how their site segment can affect overall company search visibility. The most common example of this fragmentation is seen in sites with multiple subdomains where each section can have a unique purpose. Those might include separate entities such as blogs, web apps, SaaS portals, user support pages & FAQs, ecommerce platforms, video libraries, etc. All of which can be important parts of the business. Conversely, subdomains may be added to segment-off things seen as less important to the core business. Developers may prefer separating site functions to wall them off from each other so they are not interdependent on all site functionality. What breaks one tool therefore, won’t affect others working properly. Marketing teams may prefer micro-sites, which can be unique and not dependent on their overworked engineering team that has no time for them anyway. Design can create templates that work for video or image carousels, but only within limited environments accessible from independent user dashboards. Search engines see each subdomain as a separate and unique site. The SEO problem with breaking up one site into separate chunks is that a popular blog can’t help your ecommerce store show up in search engines when they are seen as separate sites (as subdomains always are). Usually there is limited interconnectivity via top navigation on fragmented sites. Once in a separate subdomain of the store, there is limited navigation within the shop to relevant video channels or to the separate customer support or FAQs or the distinct blog categories or supplemental product info such as buying guides, warranty information, etc. Normally I’d tend to get geeky here and discuss keyword funneling, how navigation confers authority, and the importance of html sitemaps and schema... But instead I’ll attempt to take a metaphorical approach. When I first see a site fragmented into a half-dozen sections, It summons pictures of a piece of ragged property with a house, a separate granny unit, a rental apartment (with alley parking for the tenant), which sits over the standalone garage, includes a wild treehouse, and in a dusty corner sits a simple doghouse. All are competing for attention. You can be relatively certain that only disarray and the clutter will be noticed by anyone. It’s hard to bring it all together into a unified and respectable piece of real estate. A house with beautiful, well-planned architecture and a unified design will be more quickly approved by the local building inspector. A home which meets city building codes and offers a much higher value to potential future buyers will have dramatically better curb appeal. Imagine your web site as a well-planned and well-structured home, with landscaping that ties everything together rather than a cluttered patchwork of outbuildings and add-ons (finished porch, tool shed) with crooked dirt paths between each structure. There are technical elements that improve SEO within a web site that has great curb appeal. Those technical SEO bits and pieces simply can’t be as effective when applied in patchwork fashion across a fragmented puzzle of sections and sub-sections. You can read about the technical bits here. The solution to the subdomain fragmentation issue is to move them all under the root domain within separate directory folders. There may be reasons that is difficult or dependent on third-party tools and it may be a web of dependencies that makes things sticky. 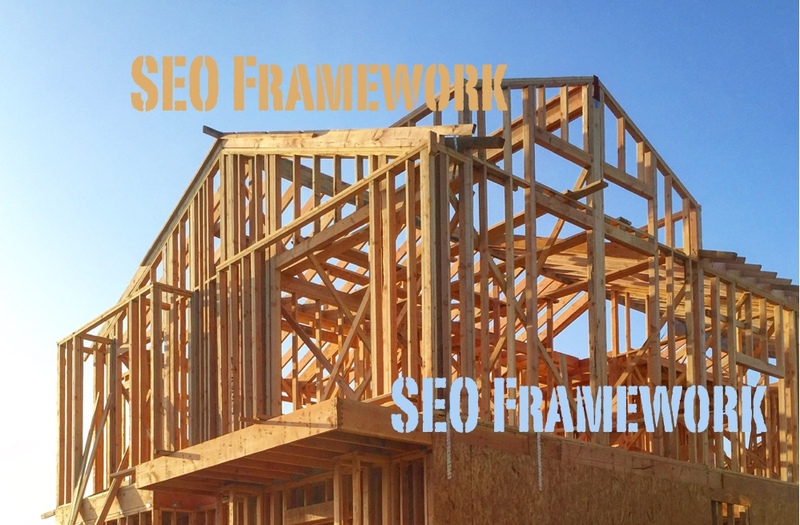 Ultimately though, bringing everything under one roof on the root domain is best for SEO. There are additional ways a site can be fragmented besides multiple subdomains. Sometimes there are technical deficiencies that aren’t immediately apparent. That can include differences in platform or code base between two or more major site sections. Engineering resources may be limited to work through SEO needs. Project scope may need to be limited by previously prioritized projects where scope creep just might be allowed to make SEO gains. Once identified, fragmented SEO is more than likely to be worked into other projects like this, rather than separately tackled as a single unified SEO project. I‘ve seen legacy systems running a content area while a separate, newer ecommerce platform powers the store. It can be difficult to get the two platforms to play nice with each other when one is old and the other new. One may run on php while other sections are running on a Microsoft platform. One self-hosted, the other externally generated via web services, apps or APIs. One proprietary and highly customized, the other off-the-shelf. None of the above would necessarily be discernible to users (front-end), but the SEO elements may be differently handled through separate dashboards or customized (backend) admin tools. Another key issue is how the sections are interlinked via both site navigation and internal topic specific links such as “related articles” or “related products” modules on each of the technical sides. Internal linking is critical to good SEO and must be prioritized. I‘ve seen gains of as much as 40% to overall site search traffic and even jumps near 90% on popular content pages when site fragmentation is resolved on enterprise sites. Small sites that pulled together multiple subdomains that housed video libraries, blogs and supplemental content can expect increases in search traffic by 5X over a few months time. It’s more difficult for some businesses than others to make these adjustments, but all see gains and most find it well worthwhile in benefits.